Cre C Max Shampoo contains MORE THAN 2 LBS of hair boosting herb concentrate in each bottle. We found Cre-C Max shampoo on Amazon when searching for new hair loss shampoos. There isn’t much of a description on the Amazon product page, so we did some digging to find more details about the product. The brand markets themselves as providing an all-natural focused solution for re-growing hair. Some of the ingredients included are pretty standard and found in most hair growth shampoo brands including aloe vera extract, Jooba extract, and nettle extract. But there are also other interesting ingredients like Ginseng extract added to the formula (There was a recent study about how Korean Ginseng had positive results for people with thinning hair and lead to hair regrowth). Cre C Max Shampoo appears to be a popular hair product in Mexico. They run TV ads and other marketing efforts in different media. Every country tends to have their own popular hair loss shampoo brands. 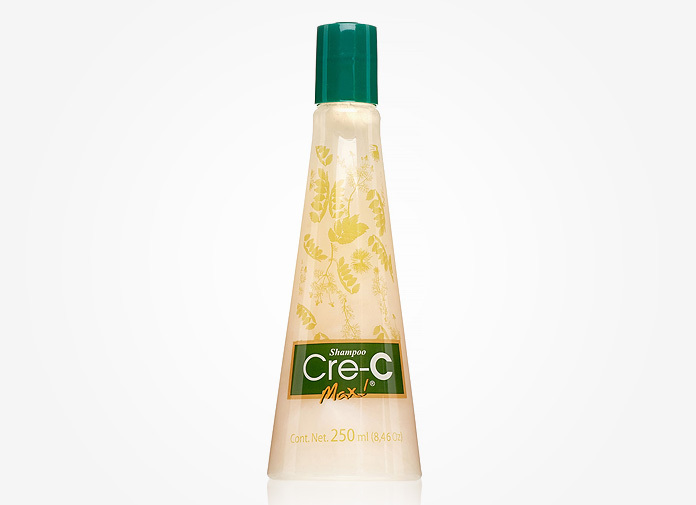 It looks like Cre C is one of the popular hair regrowth shampoos from Mexico. Leave it in for 5 minutes: The direction label indicates that after rubbing the liquid on your scalp, you should leave it in for a minimum of 5 minutes for the best result. Other shampoos, on the other hand, usually say 1-2 minutes (Caffeine shampoo is about 2 minutes, for example). If the before and after results they provide in their commercial are real and it does work like it claims for hair loss, this sounds like it could be an amazing product. But after using it for 3 months, will your bald spots be gone? We all know these types of claims can be a marketing hype. Have you tried Cre-C Max shampoo? Share your experience below. does cre c shampoo really work?